Catching up on some movies I missed writing about. 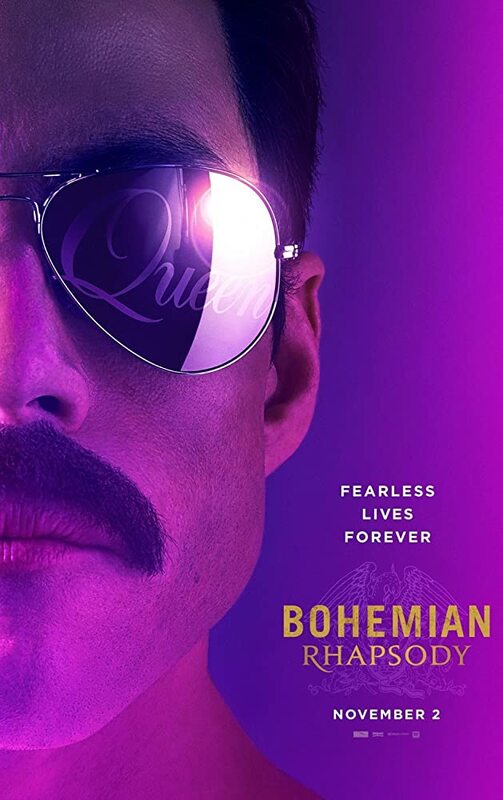 I know Bohemian Rhapsody had a few sticky reviews re not going deeply enough into Freddie Mercury's life and the real man, but a movie can only do so much, and this was worth seeing for the music alone. Also the performances were superb. Yes, OK, maybe Rami Malek's teeth were a little overdone re the overbite, but in all other ways he made a very believable Freddie. I'd like to do a special shout-out for Gwilym Lee who looked more like Brian May that Brian May himself. When is a biopic not a biopic? According to Freddie's partner, Jim Hutton, Freddie was diagnosed HIV positive in 1987, while the Live Aid concert took place in 1985. The movie would have us believe that Freddie already knew he was under a death sentence (as AIDS was then) when he walked out on stage to perform the iconic set that cemented Queen's position as a rock legend. Also the way Freddie met his partner, Jom, was certainly not as shown in the movie, so take the 'facts' with a pinch of salt. The music, however... Brilliant.